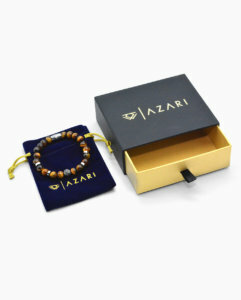 Accentuate a casual look with this mens premium yellow tiger eye wristband. Handcrafted with paramount precision and care around every curve, the premium Yellow Tiger Eye Bead Bracelet acts as your unique showcase of personal strength, clarity, courage and unwavering passion for success. 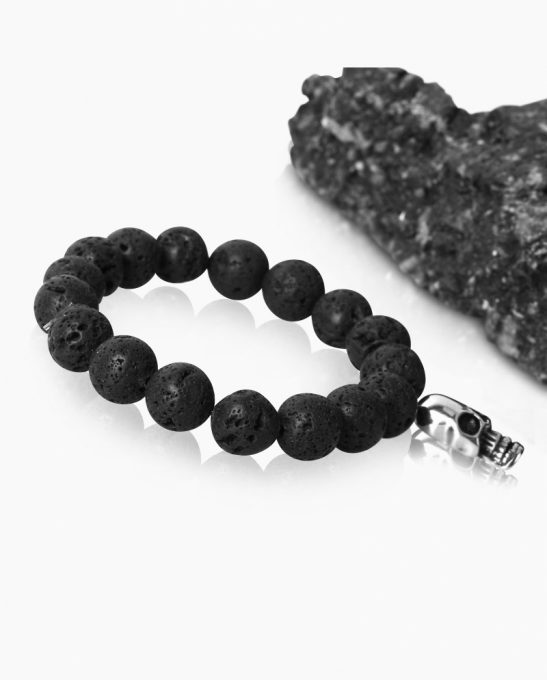 1 * 10mm Multifaceted white pavé Zircon(cz) gemstone disco ball – to elevate the Azari bead wristband bracelet and accentuate the exclusive look. 1 * 13mm Stainless Steel back piece with the Azari logo for an exclusive look. 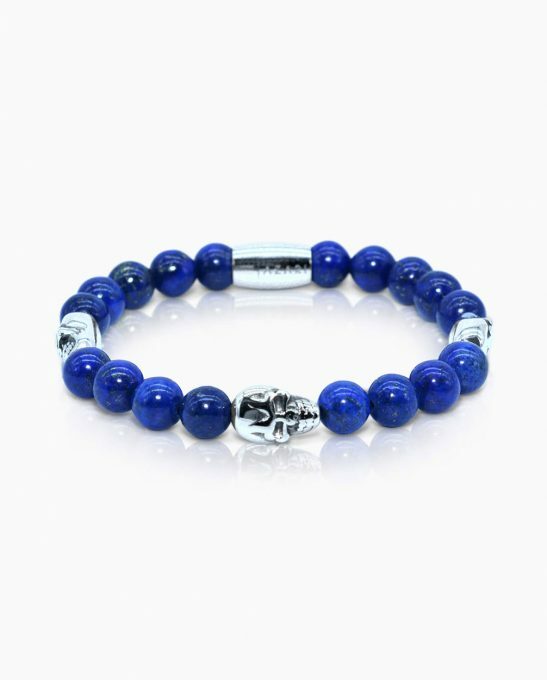 The tiger eye gemstone is also know as a stone of protection and is believed to bring good luck and prosperity to its wearer. Click Here to read more about the tiger eye gemstone meaning and benefits. The stainless steel metallic elements and the multifaceted white pavé zircon(cz) gemstone disco ball charm complements the warm accents of the natural tiger-eye gemstone, making this Azari mens wristband the ideal choice to complete minimal styles. The yellow-to-brown gradient of the silver tiger eye gemstone symbolizes personal strength, clarity, courage and spiritual optimism. 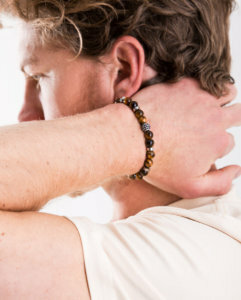 This premium yellow tiger eye men’s gemstone bracelet is an essential accessory for a stylish choice to match relaxed styles. It can be transformed from day to night with a simple change of your top. It’s a stylish choice to match relaxed styles. 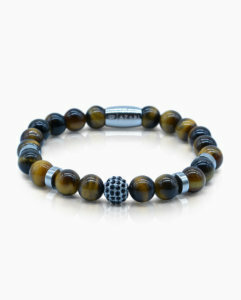 Tiger Eye Gemstone is believed to bring brightness and optimism to a situation, and shine insight onto problems. Known as a stone of protection, the Tiger Eye gemstone brings good luck and prosperity to the user. Tiger Eye gemstone is helpful in manifestation of ideas into reality and giving courage in times of change. 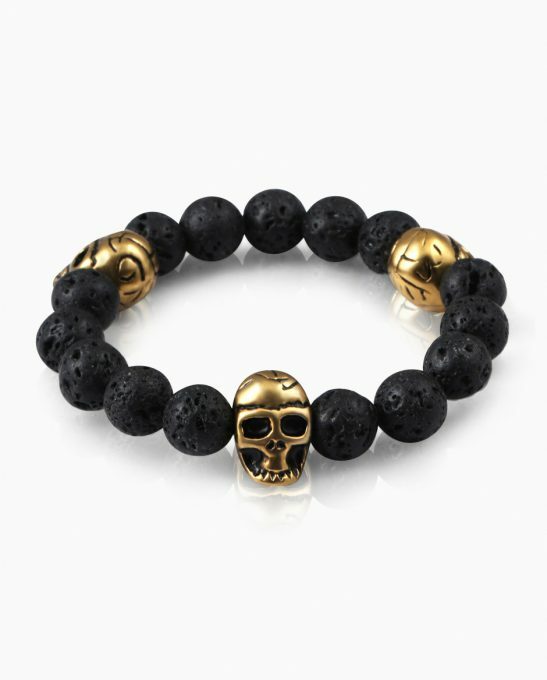 In many cultures the tiger eye gemstone is believed to boost of creative energy and provide balance to the wearer.